"Deepest Sympathy to the Allshouse Family may you draw..."
"So sorry for your loss,I will miss my first customer of..."
"Sorry for your lost,may the God of comfort be with you...."
"So very sorry for your loss. Thoughts and prayers go out to..."
"I am very sorry for your loss." 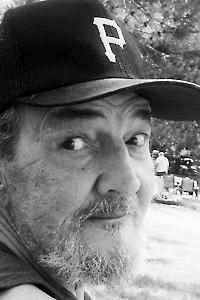 PORTLAND - Ronald G. Allshouse passed away at Maine Medical Center's Special Care Unit 4, on Jan. 4, 2015. His passing was sudden and unexpected due to an aortic aneurysm. The family is grateful for the outstanding care Ronald received while at Maine Medical Center. Ronald was born on Aug. 29, 1941, in the Pittsburgh area. He completed his college education at the University of Pennsylvania in Engineering. He worked as a consultant for many years until he joined the United States Postal Service in 2005. In his free time, Ronald enjoyed spending time with his family, movies, and all forms of sports. He was an avid Pittsburgh Steelers fan. Ronald is survived by his wife of 28 years, Lynda, and five children Ronald Jr., Susanna, Ben, Samantha, Jason; and daughter-in-law, Amber. University of Maine at Farmington.